I was born in 1971 in Bari, but now, I live in Scandriglia in the province of Rieti in central Italy. Scandriglia is a comune (municipality) in the Province of Rieti in the Italian region Latium, located about 40 km northeast of Rome and about 25 km south of Rieti. As of 31 December 2004, it had a population of 2,662 and an area of 63.0 km². The municipality of Scandriglia contains thefrazione (subdivision) Ponticelli Sabino and a little subvision called "Poggio Corese" that is the place were I live. Click on the images if you want to see them better. 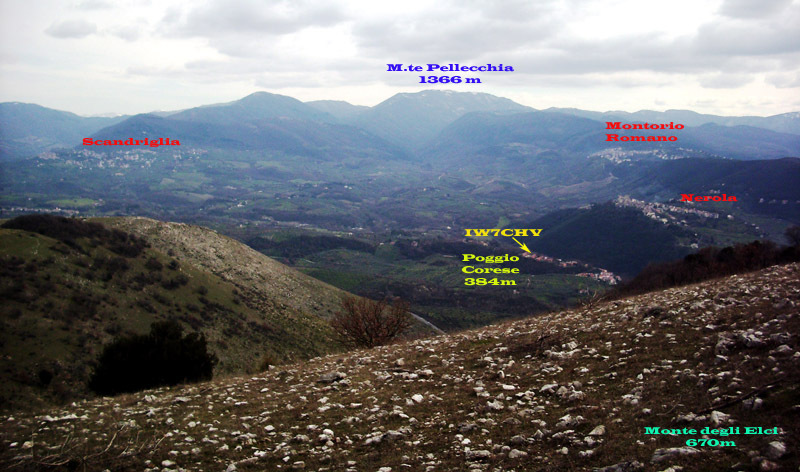 On the left you see the position of Scandriglia in Italy and, on the right you see a photo taken during an excursion in mountain-bike. I worked in Rome in a company called T.R.S. SpA, where my first occupation was in the Meteorological branch. 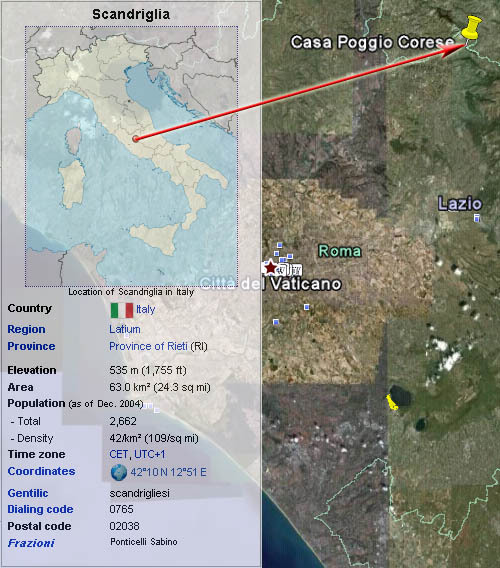 In particular, I worked for the installation and configuration of AWOS (Automated Weather Observing System), ATIS (Automated Terminal Information Service), RVR (Runway Visual Range) for all Italian airports and other organizations. 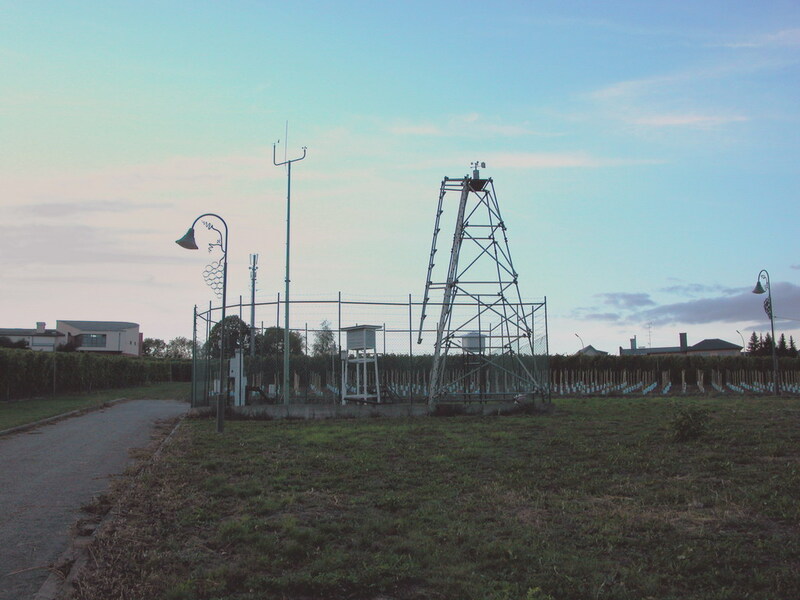 I developed solutions for new sensors or products dedicated to meteorology. My current job is at Skytech Italia. Special thanks also to my father Angelo and my mother Elisa who have always believed in me and in my crazy activities.